A site walkover survey of the site, set-out and supervision of the field works. Analysis of samples of soil for a comprehensive suite of common zootoxic and phytotoxic contaminants, SVOCs and VOCs. The provision of an interpretive site appraisal report including a desk study and an assessment of environmental issues pertaining to the site and its redevelopment. Geo-Environmental was instructed by Osborne to undertake an investigation of the geotechnical and environmental factors pertaining to the proposed redevelopment of the site at 11 – 19, Denne Parade, Horsham. 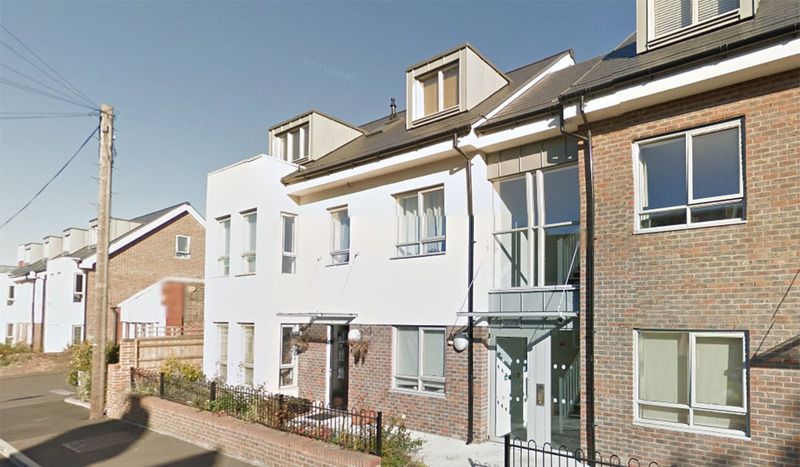 The proposed development was to comprise the demolition existing buildings and the construction of a three storey residential block of flats with associated parking, cycle storage and very limited soft landscaping. Our investigation provided geotechnical parameters and foundation recommendations, as well as to provide an appraisal of the environmental impacts quality. In terms of the environmental investigation, a Preliminary Risk Assessment (PRA) was undertaken as part of the desk study in accordance with CLR11, providing the scope and rationale of the subsequent Phase II ground investigation. The data from Phase I and Phase II investigations formed the basis of a subsequent Generic Quantitative Risk Assessment (GQRA). The objective of the risk assessments was to evaluate the risks posed to the proposed redevelopment, adjacent land uses, and the wider environment, in the context of the development options, immediate liabilities under the Environment Act 1990, and risks posed to Controlled Waters under the Water Resources Act. Our investigation provided the input the design and development of the site’s foundation design, pavement construction, soakaways, concrete specification, excavation stability, basement construction parameters, and basic slope stability considerations. All work was carried out in accordance with Health and Safety best practices and was successfully completed without any incidents. The reports were delivered on time and the work on budget.